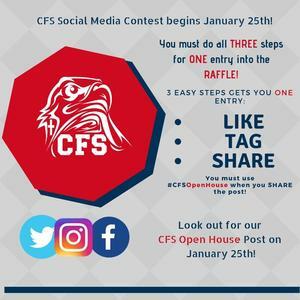 Social Media Contest has been extended! Follow us on FB, IG and Twitter! We are giving you a chance to win a $50 gift card to our O-Line sports catalog of spirit wear. Here is how you get a chance to win! 3. 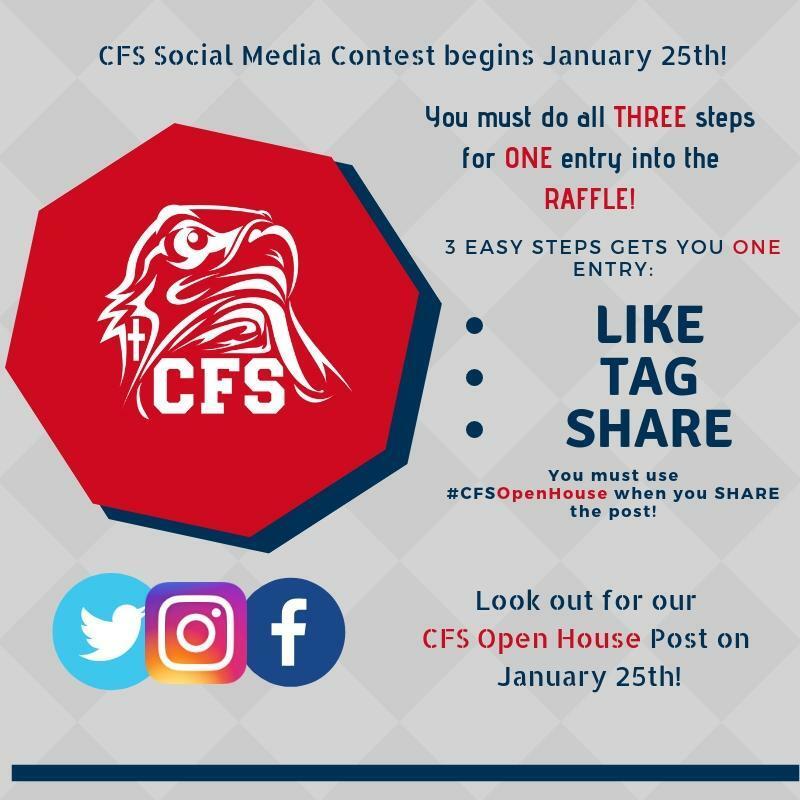 Share our #CFSOpenHouse Social Media post from January 25th using the before-mentioned hashtag. All 3 steps gets you one entry into our drawing to win! Contest winner will be announced on Feb. 21st! Go Eagles!